My first visit to Cuba, in December 1987, was almost surreal, raising as many questions as it answered. I traveled to Havana via Mexico City to write a magazine story about the ninth annual International Festival of New Latin American Cinema, which celebrated socially conscious Latin American films and, in some cases, hard-edged films about Latin America made by non-Latinos. Cinema, it seemed, was one of Fidel Castro’s passions, along with cigars and long-winded speeches, and he took pride in luring all the top regional filmmakers to Havana. That year he had also invited a number of American filmmaking luminaries who might be sympathetic to the Revolution. Directors Oliver Stone -- lionized for films such as “Salvador,” “Platoon,” and “Scarface,” the latter about thugs in Miami’s Little Havana -- Bob Rafelson (“Five Easy Pieces,” “Black Widow”), and Arthur Penn (“Bonnie and Clyde,” Little Big Man”) had all come to speak about filmmaking, screen some films, and help satisfy their curiosity about this island nation 90 miles and an eternity away from the Florida Keys. Actors Raul Julia and Klaus Maria Brandauer were also on hand, as were photographer Helmut Newton, novelist and Nobel laureate Gabriel Garcia Márquez (a friend of Fidel’s), and other luminaries. A few English-speaking writers filled out our contingent as we toured the area for a week by mini-bus, which ferried us to various festival-related ceremonies, screenings, press conferences, seminars, photo ops, and parties, as well as a few special events clearly designed to convince us that Castro’s Cuba was doing just fine, thank you, despite the longtime U.S. economic boycott. Castro himself, bushy bearded and dressed in his finest battle fatigues, hosted a lavish reception for film festival attendees in the Palacio de la Revolución, where he was mobbed by adoring crowds of Brazilians, Argentines, Mexicans, and a few Americans as well, all hoping for a memorable moment with El Jefe. We were headquartered in Havana’s grand old Hotel Nacional, which overlooked the sea in seedy splendor. As we relaxed poolside or sambaed with scantily dressed young Cuban beauties specially imported for the occasion, hundreds of local Habaneros stood outside the heavily guarded entranceway, gawking as the privileged passed through. This wasn’t just security for the film festival attendees. The hotel, like most in Havana, were reserved for foreigners only--off-limits to all but the most elite Cubans (though somehow a number of local prostitutes found their way into the lobby). Most decent restaurants and bars – such as the old Hemingway haunts El Floridita and La Bodeguita del Medio -- were also strictly for tourists, as was, for the most part, the famed Tropicana nightclub, a pre-revolutionary relic where the chorus girls wore feathers and the singers sported sequins. As we wandered about Havana – we were able to explore the city freely on our own if we wished – the scene outside the Hotel Nacional, the Palacio de la Revolucion, and the festival venues was starkly different than what we had experienced. While we partied with Fidel, downing heaps of plump shrimp chilled on ice and mounds of fresh ceviche served in sparkling cocktail glasses, Habaneros lined up for hours to secure their strict rations of rice, beans, sugar, and other staples. 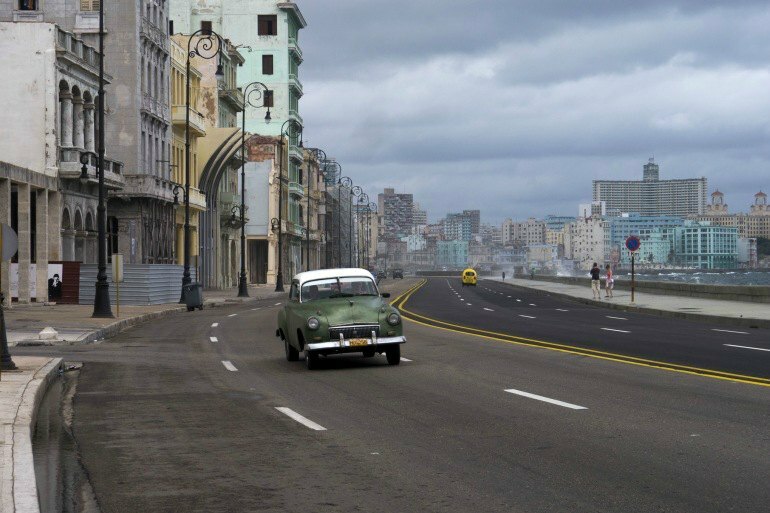 Havana back then had a look of decay – crumbling mansions, neglected historic sites, and streets filled with decades-old American cars running mostly on a wish, a prayer, and sheer mechanical wizardry that somehow kept them wheezing along without access to U.S. automakers’ spare parts. In 1987, Cuba was still a satellite state of the then-Soviet Union, whose financial aid flowed like rum, propping up the regime but also making it possible for Cuba to offer its citizens free education and health care. While Castro led diatribes against the United States, however, Cubans continued to flee the island, often at peril to their lives, to make the journey to American shores by raft or small boats. Arthur Penn, one of Hollywood’s most thoughtful directors, privately expressed puzzlement about what he called the “Cuban paradox.” His wife, a psychologist, had toured Cuban mental hospitals and came away impressed with the country’s enlightened methods of treating patients. Yet Cuban prisons were notorious hellholes. A guided tour for journalists of a women’s prison, intended to counter this perception, seemed like a stage set straight out of Fellini. As the press contingent arrived, smiling inmates were happily doing each other’s hair, while others were singing and dancing as if on cue. Even the film festival – devoted to the art of cinema and honoring courageous filmmakers who dared to take on the repressive military regimes then strangling much of Latin America – was set in a country that had driven several of its own great cinematic artists into exile and kept a tight grip on those who remained. “Which is the real Cuba?” Penn wondered. As did we all. After nearly 30 years, I returned to Cuba in April 2016 aboard the Cuba Cruise, offered by a Greek line called Celestyal Cruises. Celestyal has been running Cuba Cruises for three years, and each year the number of American passengers has increased exponentially as the Obama Administration eases rules for U.S. travelers to Cuba. 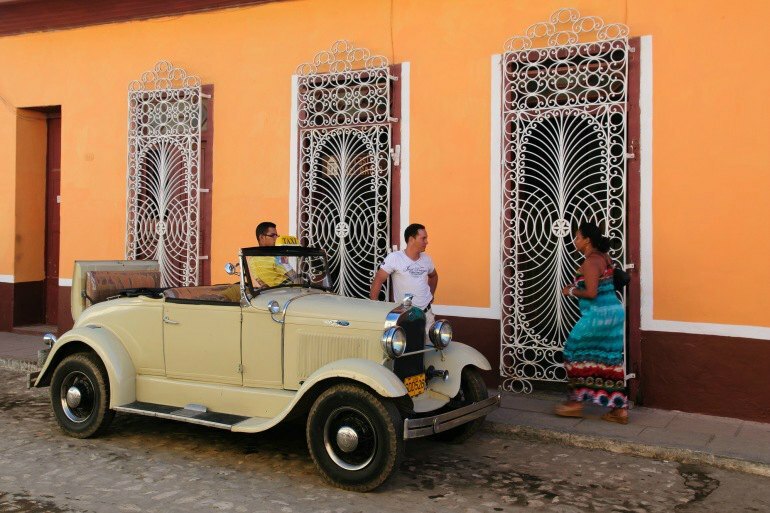 Finally getting increased opportunities to see the island for themselves, Americans are making Cuba a top travel priority -- before the changes that will inevitably set in, including, not incidentally, the eventual demise of those classic cars still on the road. 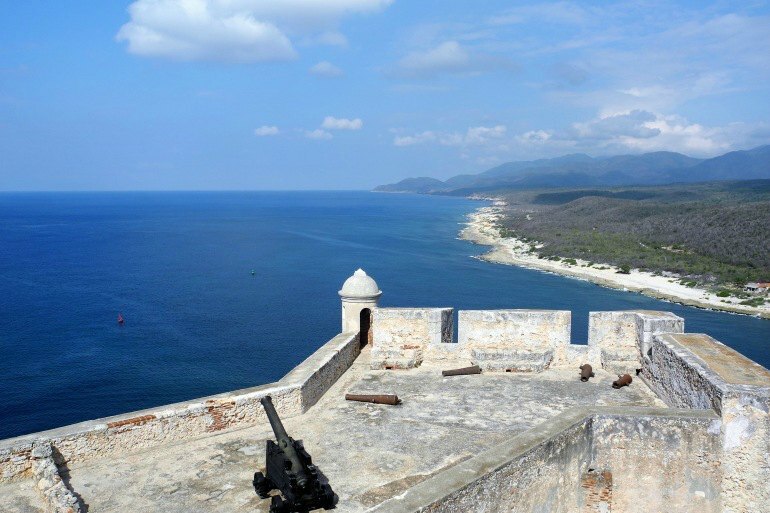 Along with Havana, the Cuba Cruise took us to Santiago de Cuba, the country’s second largest city; to Maria la Gorda, an idyllic swimming, snorkeling and diving location; and to Trinidad, an historic colonial city near the port of Cienfuegos. In Havana, I was immediately struck by how much more prosperous the city looked than in 1987. The 1950s- and 1960s-era American cars are, remarkably, still dominating the streets, but now some of them had been converted into taxis and for use as tour vehicles. Rather than the wheezing, rusting vehicles of my memory, seemingly clinging to their last vestiges of spark plugs and shock absorbers, many of them now shone like jewels in the tropical sun, buffed and polished like treasured heirlooms as they sped past. 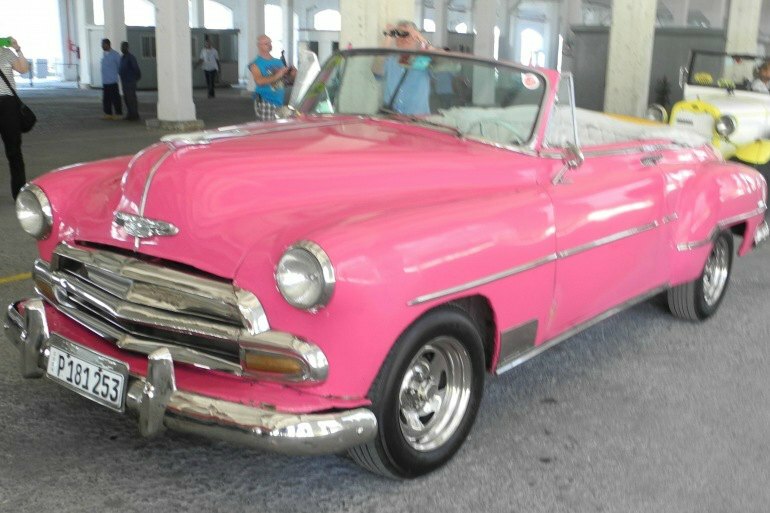 Along with two fellow passengers, I squeezed into a bright pink 1951 Chevrolet Biscayne convertible, as our Cuban driver shot out of the cruise terminal blasting the car’s multi-tone horn, while other equally colorful classic cars followed behind. Though the engine sputtered a few times, and the driver had to coax it to start after occasionally stalling out, the Chevy took us around much of Havana, stopping to see some of the sights and drawing envious glares from other tourists. Our stop at the Hotel Nacional, where I had previously stayed for the film festival, particularly fascinated me, since it had been nicely renovated in the intervening years and now Cubans (albeit affluent ones) were much in evidence there. Old Havana – the historic district of the city (and UNESCO World Heritage Site) that extends inward from the waterfront for a number of blocks and encompasses beautifully restored public squares and colonial buildings as well as the old Hemingway haunts – shows the results of huge infusions of government funds. Another public square – tree-shaded Parque Central, where street musicians strike up Afro-Cuban beats and near where President Obama spoke during his breakthrough visit to Havana in March – also impressed. And sizable neighborhoods displayed rows of well-maintained mansions -- once the residences of wealthy Cubans that were confiscated after the Revolution – and are now used as government offices, museums, and headquarters of various organizations. Within the past few years, Cubans have been increasingly allowed to own property, open private restaurants, and rent out rooms to tourists – Airbnb is big here. (Canadian and European tourists, not restricted by U.S. regulations, have been flocking to Cuba for years). Nor did I see any food lines, with the exception of families queueing up to buy bags of donut-like churros from vendors in Old Havana. The city’s streets seem as safe as any city I’ve encountered – the blatant prostitution and the black market money-changers I remembered are gone (Cuba has simplified its currencies a bit, removing some of the artificial barriers between inflated “tourist” money and that used by locals). 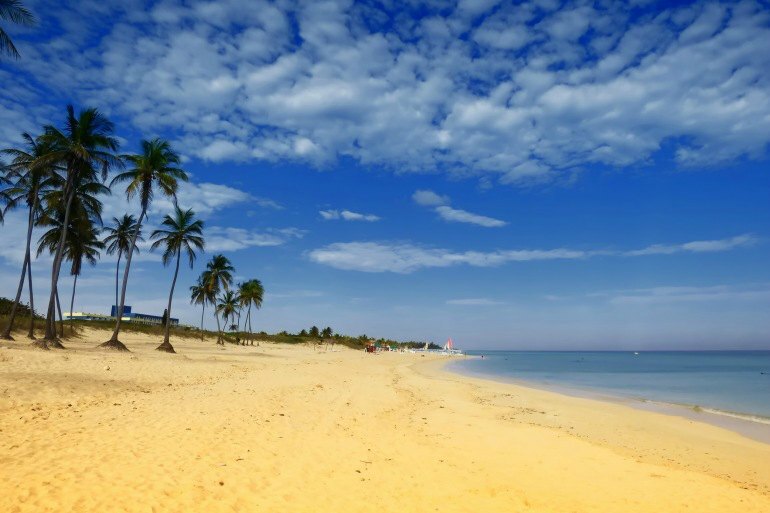 So Cuba remains a paradox – and a continuing source of puzzlement. How do residents get by on salaries averaging $20 a month? (General answer: The underground economy is booming – Cubans are a very creative people). And, of course, how do those old American cars keep running? The answer is essentially the same: necessity is the mother of invention, as goes the old saying, and to survive hard times Cubans have had to become very inventive indeed. With Cuba at the top of many Americans’ travel wish lists, it’s helpful to know just what has changed and what remains the same for U.S. travelers. One thing is certain: things are evolving rapidly. Recently the Carnival Fathom became the first cruise ship to set sail to Cuba from an American port (Miami). And Celestyal Cruises plans to now sail year-round to the island, starting this coming November, rather than limiting their voyages to the November-April high season. Soon to come, as many as 80 flights a day to Cuba are expected to take off from American airports – in Miami, New York, Chicago and elsewhere – by this fall. And it’s no longer required for Americans to join a tour group to visit Cuba – though tours and cruises still remain the best option for most U.S. travelers to Cuba. Outside Havana, roads are in bad shape around much of the country, and driving is hazardous. Buses and other forms of public transportation are crowded and slow. And the tourist infrastructure, including hotel space, is already being taxed to the limit. Tours and cruises can ease these obstacles considerably, and you’re much more likely to see more of the island because of it. Also keep in mind that Americans are still expected to justify their travel to Cuba under at least one of 12 specific criteria, including purposes such as educational activities, humanitarian efforts, and people-to-people programs. Simply going to a resort to sunbathe and swim doesn’t cut it. A well-organized tour can provide the types of activities that satisfy these government requirements. 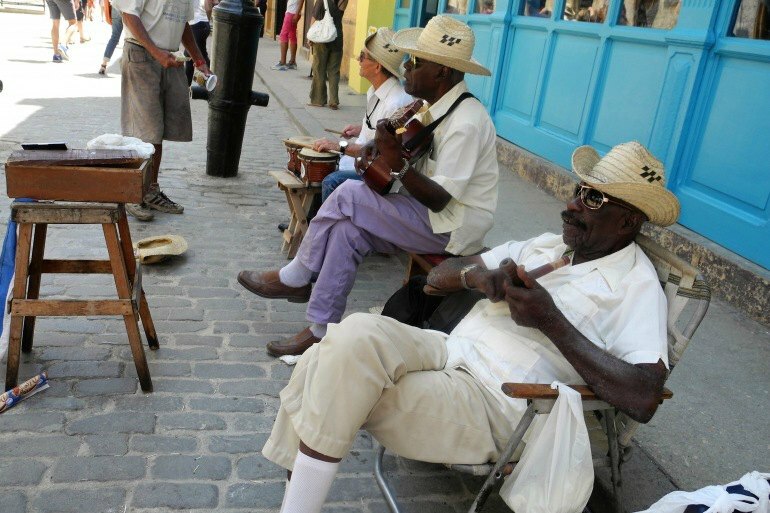 Perhaps most important, a good Cuba tour will provide you with a good Cuban guide -- and a good Cuban guide can answer your questions about Cuban life and culture. And maybe even shed some light on how Cubans have kept those well-aged classic cars on the roads, running and spiffy, for more than 60 years. Clark Norton is an award-winning travel writer who has authored or co-authored 15 guidebooks and hundreds of travel features for major magazines and newspapers around the world. He writes about baby boomer travel at clarknorton.com, and is one of our esteemed Destination Experts.